Experience the Parks and small towns of Lincoln County from a different perspective! Questions about the Park to Park? Contact Us! We want you to come visit us! If you have questions about the ride prior to registering, feel free to contact us. What to do in Lincoln County? Road Bike in Lincoln County’s Park to Park Pedal and more! 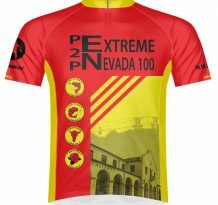 The 2018 Jersey Design is Here! Tell us what you think about this year’s jersey. Larry Irwin on Thanks to everyone for another great ride!